During the two to three weeks following our initial meeting we will review all the information collected and the documents provided to fully understand your current situation. 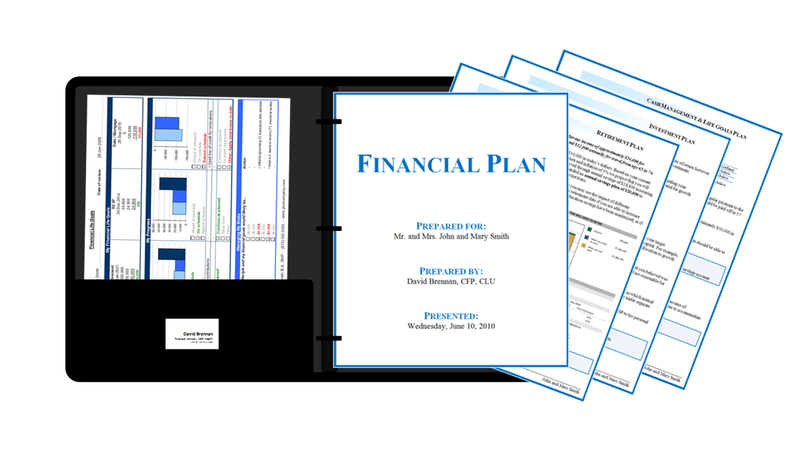 Then we will make specific recommendations relating to each of the financial and life goals you identified and summarize our findings in a formal Life Goals Financial Plan. Our next meeting, the Plan Presentation, will last approximately 90 minutes. We will walk through each part of your plan covering each goal and the accompanying recommendations. The meeting is very interactive and we will take all the time needed to answer your questions - ensuring you understand your plan is essential. The plan is then yours to take home and review at your leisure. We encourage you to call if you have any questions or if you would like to suggest modifications. When you have decided whether to proceed with the plan (or a modified version) simply contact our office and we will begin the implementation process.